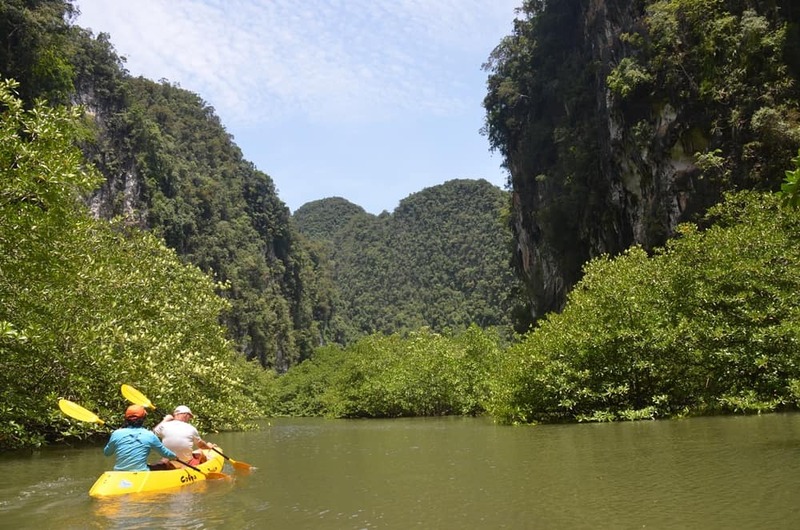 Based at Latitude 8 in limestone-laced Phuket, Thailand, you won’t need your parka or dry suit to kayak with John Gray SeaCanoe. 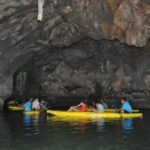 The limestone scenery is spectacular, the protected seas are usually smooth, and our specialty is sea caving in these year-round warm tropical waters. 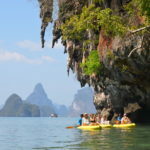 South Thailand’s colorful, majestic limestone is peppered with secret sea caves we’ve found over the past 26 years. 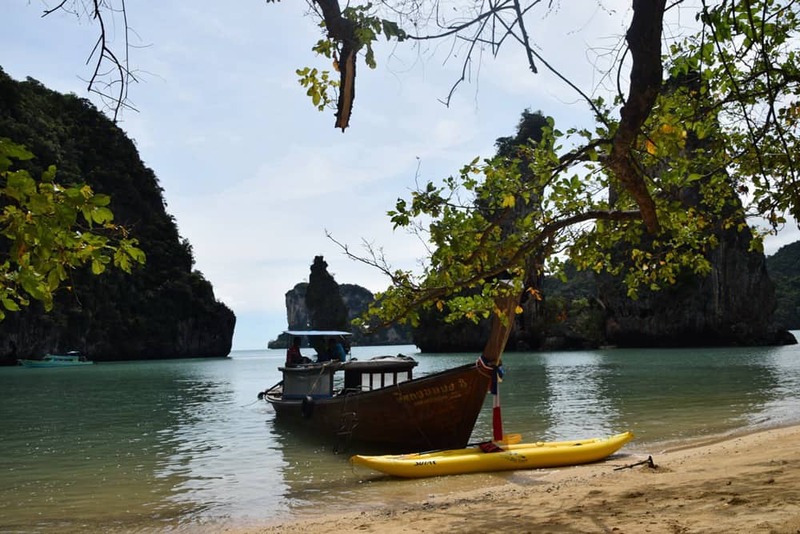 Hospitable camping beaches abound, and friendly Thai locals share their stories via our dual language Thai guides. 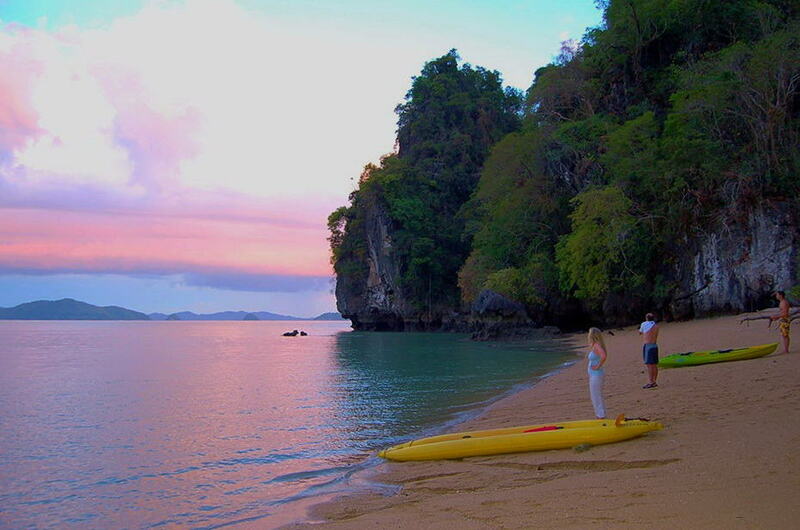 Most of our staff grew up in “The Bay”, which harbors many Thai hidden secrets. 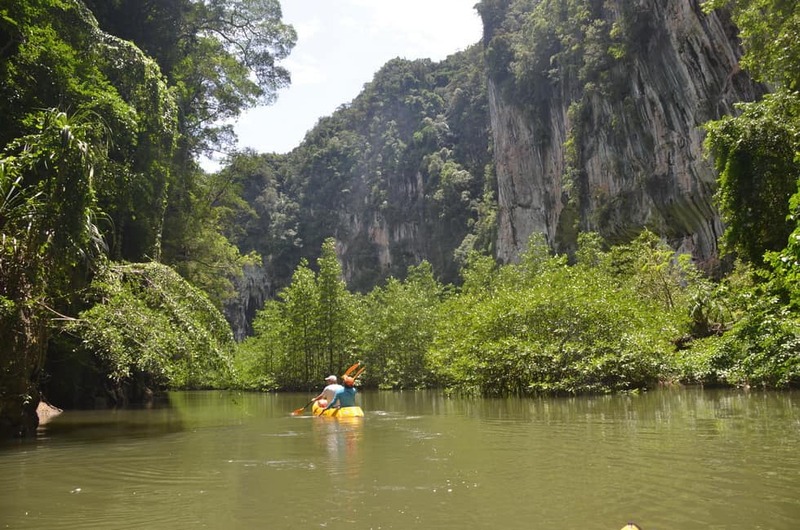 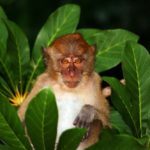 John “Caveman” Gray explored the numerous sea caves starting in the 90’s, including a two-kilometer long limestone canyon that’s the Jewel of the Bay and the 260 meter “Bat Cave” in Phang Nga Bay. 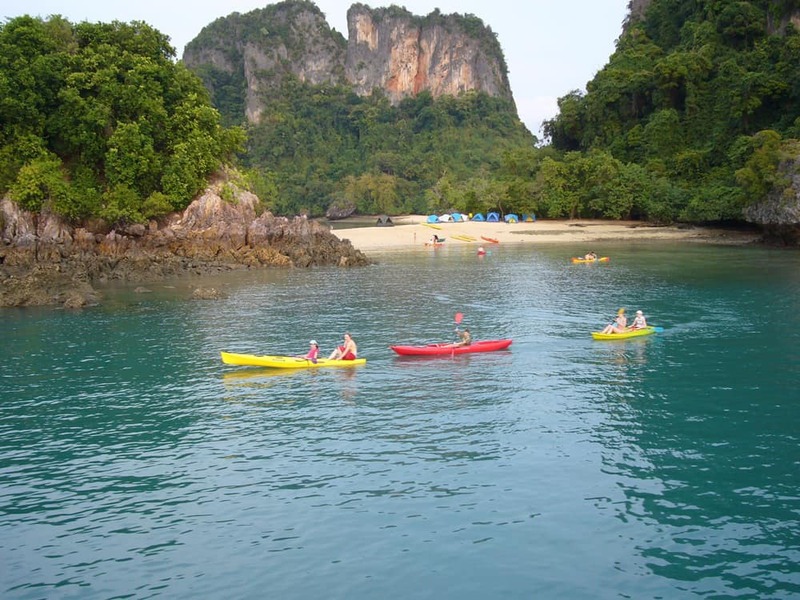 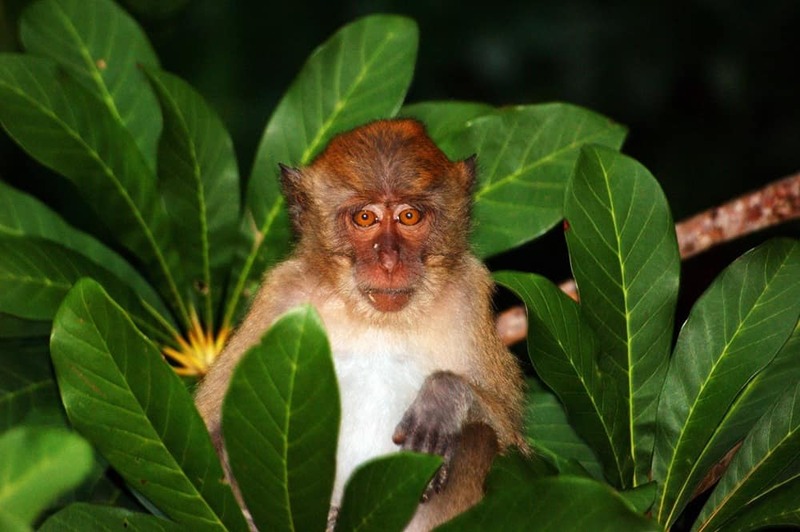 We camp on endless sand beaches backed by colorful limestone cliffs, then kayak mangrove forests packed with wildlife. 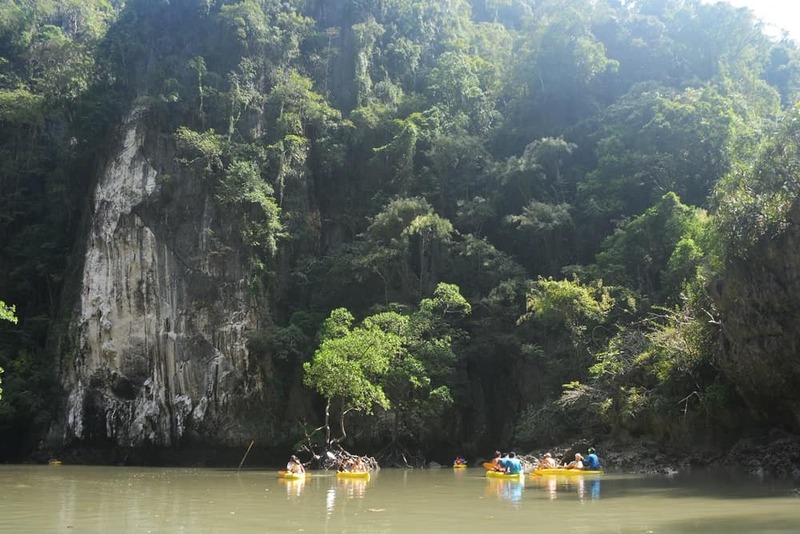 To maximize your experience we use “Fast Longtail cabined support boats to explore distant caves and islands. 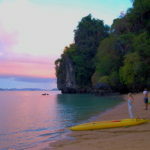 Indigenous Moken people still live on the sea, and we sometimes beach camp with our indigenous friends. 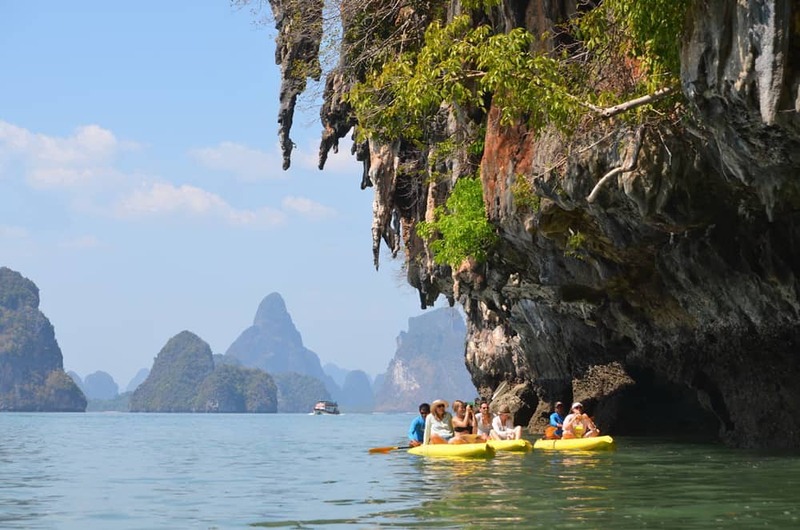 Eco-systems sculpt wet caves from mountain peaks, running to the Andaman Sea where bountiful coral gardens invite. 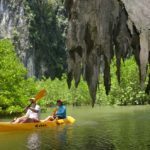 Back on land, there is a two-kilometer limestone wet cave packed with stalactites beyond the reach of errant paddle blades. 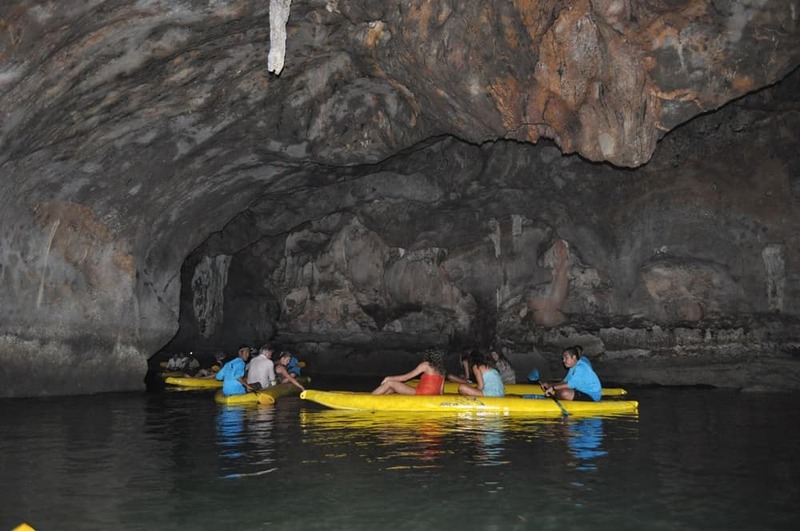 In Halong Bay, Vietnam we avoid the crowds by launching from our secret harbor and kayaking Halong’s outer islands almost to the Chinese border..
Commercial activities support our comprehensive environmental commitment since the 1950’s, including wildlife rehabbing, media, keynote speaking, teaching at Prince of Songkla University-Phuket, marine/on-land clean-ups, and preservation of Phuket and Hanoi urban historical districts. 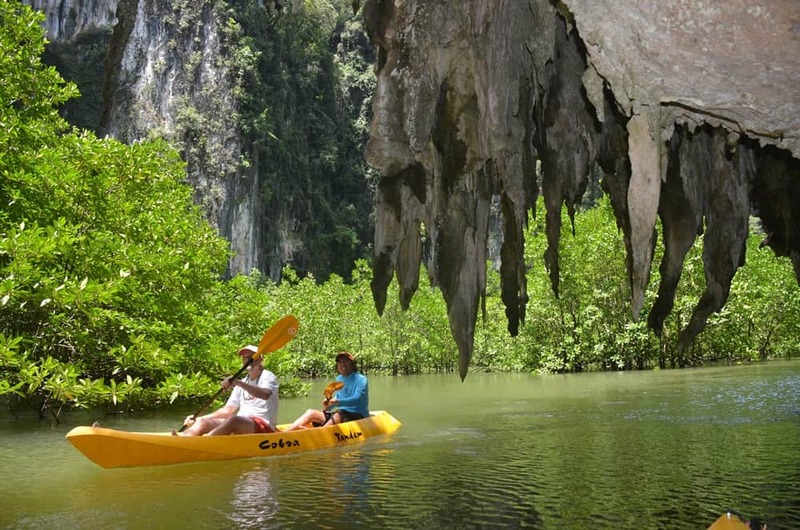 John “Caveman” Gray is Ecotourism Consultant for the Thailand Environmental Institute since 1990 and IUCN-Thailand.